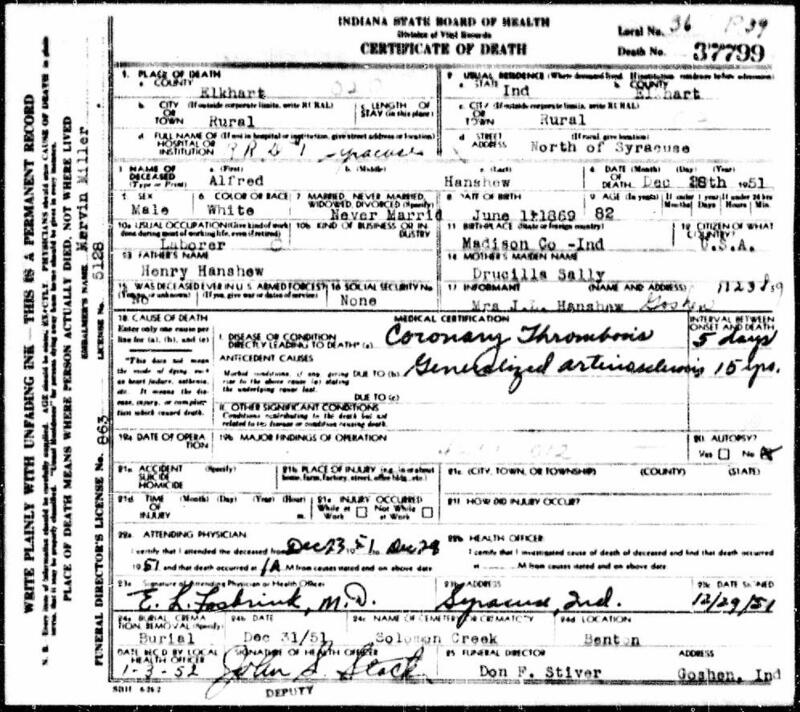 1900 census, Benton Township, Elkhart County, Indiana; roll T623-369, ED 2, page 7A, line #42, dwelling #164, family #164. 1910 census, Benton Township, Elkhart County, Indiana; roll T624-347, ED 3, page 2B, line #94, dwelling #48, family #48. 1870 census, Curtis P.O., Madison Township, Tipton County, Indiana; page 541B, line #24, dwelling #175, family #179. 1880 census, Madison Township, Tipton County, Indiana; roll T9-0315, ED 138, page 159D, line #21, dwelling #289, family #294.